I don’t have a cousin family. This isn’t to say I don’t have cousins, but they are older and live far away, and I’ve never had much of a relationship with any of them. It never bothered me much until I went to school in Boston, where seemingly everyone is best friends with their cousins, and I felt like I’d missed out. My sons won’t have this problem. My brother just had a baby, and my wife’s side of the family has been pumping out kids for years. We spent this past weekend with a few of them at Dutch Wonderland in Pennsylvania, and my boys loved every minute of it. A few years ago, the summer before The Hammer fell, Mom and Buried and I took Detective Munch to Dutch Wonderland, an amusement park in Pennsylvania. She used to visit it with her family as a kid, so we coordinated with her parents and my son’s cousins and made a weekend out of it. We spent a day at the park and the rest of the weekend exploring the area. 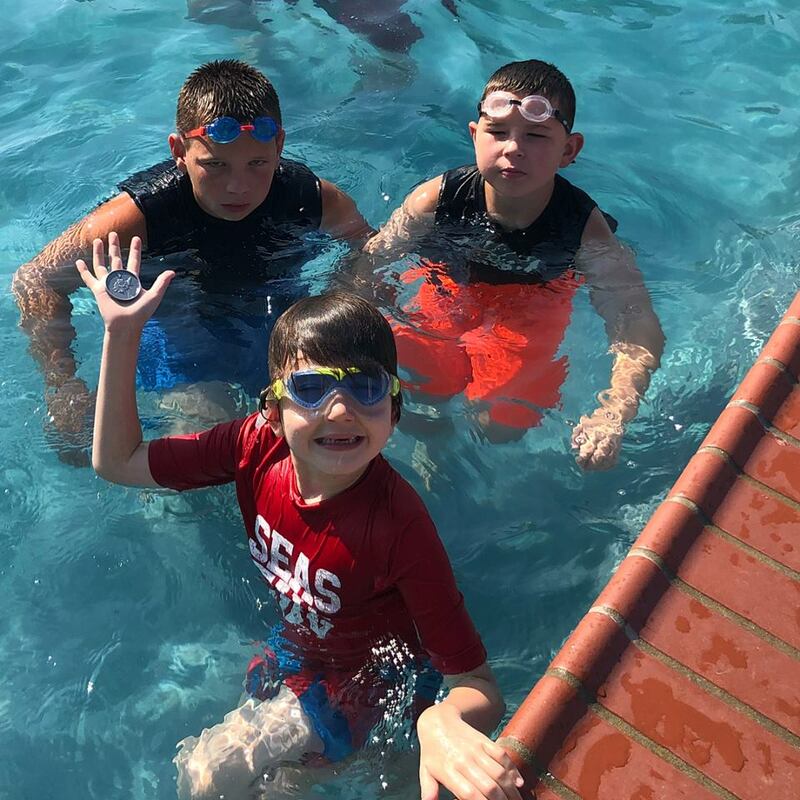 We had fun, and my son loves spending time with his slightly older cousins, but he was a little too young – and short – for some of the rides. But that wasn’t the case this time! 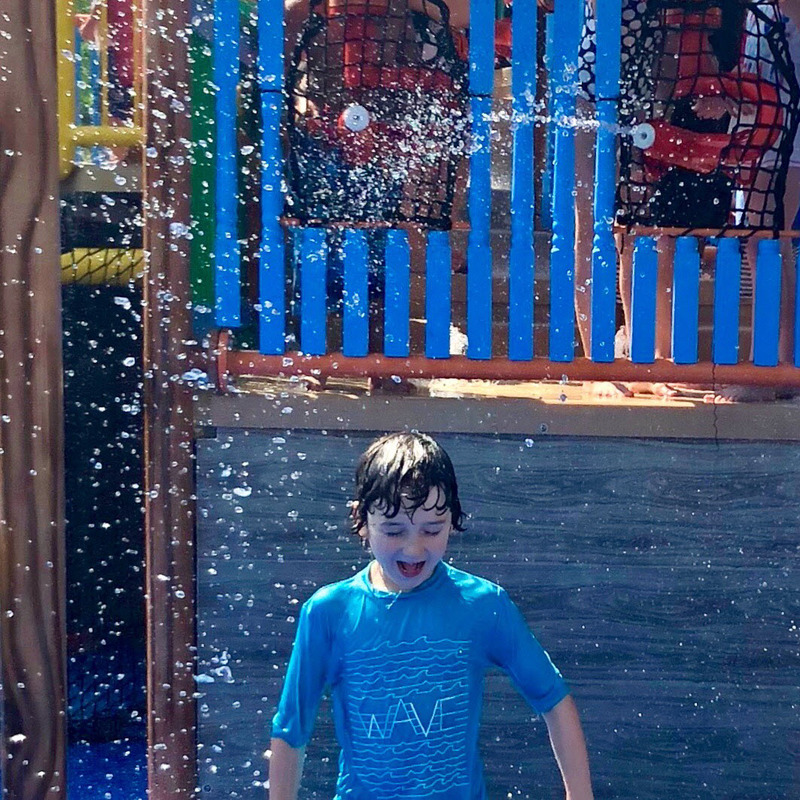 My 7-year-old is now tall enough for most everything he wanted to ride, and with Detective Munch’s newfound enthusiasm for going underwater, the Wonderland’s water park section was even more fun. Even The Hammer loved getting sprayed! Amusement parks don’t hold quite the same appeal for me as they used to. Couple the fact that stuff that spins makes me throw up with the fact that my body can’t take a full day of being rattled by the rush of the more intense rides, these places are better suited to my kids. Thankfully, the cousins were around to happily accompany the Detective and most of the rides. But not for the big one. The park is good for younger kids because the big rides aren’t that big and the small rides are suitable for a little nugget like The Hammer, who was content to sit on miniature jeeps and miniature trains and miniature bulldozers all afternoon. And I was content to watch him from the sidelines while repeatedly yelling for him to hand me the damn binky. The Hammer, wiped out from literally just sitting passively as mechanized vehicles slowly carted him around a small track, eventually took a nap, and it was time for Dad to run with the big boys. Detective Munch was desperate to ride the Dutch Wonderland’s roller coaster. There are actually two of them, one that dangles that the kids wanted no part of, and the more traditional one that they couldn’t wait to conquer. But since Detective Munch isn’t tall enough to ride it alone, and his bigger cousins only just made it, he needed an adult to go with him. And I wasn’t sure I was up to the job. I used to love roller coasters, but that was before I turned 40 and my back started trying to kill me. I was both excited and nervous to accompany my son, but felt it was my duty. 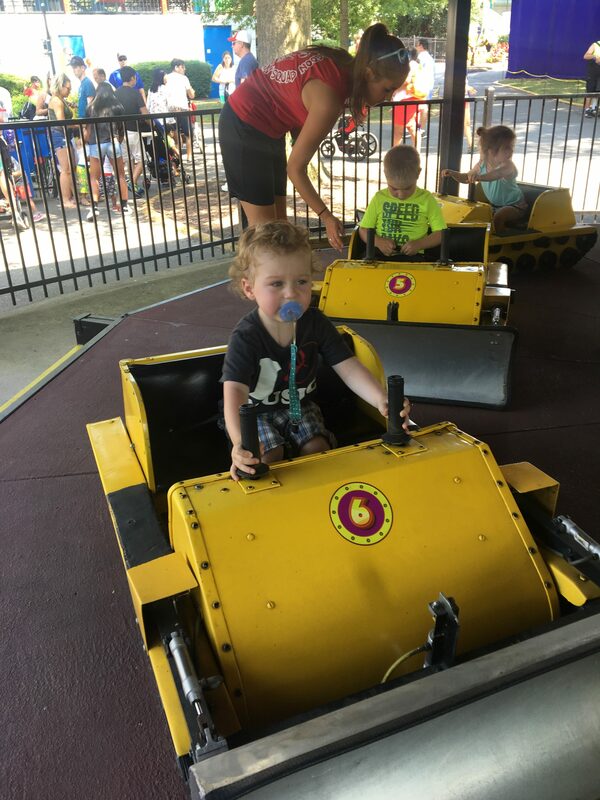 I wanted to give him a real amusement park experience, and that meant risking my future mobility to give my son a fun memory. We ended up riding it three times (Mom and Buried took the last run) and all three boys were buzzing afterwards. Even more afterwards, I was buzzing too, if only to ease the pain of my fragile back. Going, going, almost gone are the days when Detective Munch needs his mom and I to shepherd him around places. All weekend he was off with his cousins, and it was great to see them play together so easily. All of his cousins are on Mom and Buried’s side (except for my brother’s new baby girl who is still way too boring to count) and they all live far away, so he doesn’t get to see them as much. But I’m glad he has them, even if we’re only able to get together once or twice a year and they refuse to smile in photos, for some infuriating reason. Fortunately as you can see, spending the weekend visiting Dutch Wonderland and hanging out with his cousins had Detective Munch was smiling wide enough for everyone. Dutch Wonderland was nice enough to provide some passes to their fun park, and if you want to go, you can visit their site and use the promo code summerblog18 to get a discount!